I can’t stop thinking about those butterflies. Elijah’s class watched as caterpillars grew big and squirmy in their clear plastic cages this fall. Then they watched as each caterpillar formed its own chrysalis and their smooth, green bodies went into hiding. The anticipation built in the classroom. The teacher had told them what would come next. The students made their own orange butterfly wings out of bristol board and drew their own unique shapes on the replica wings. They rehearsed a butterfly play. At last it was time. 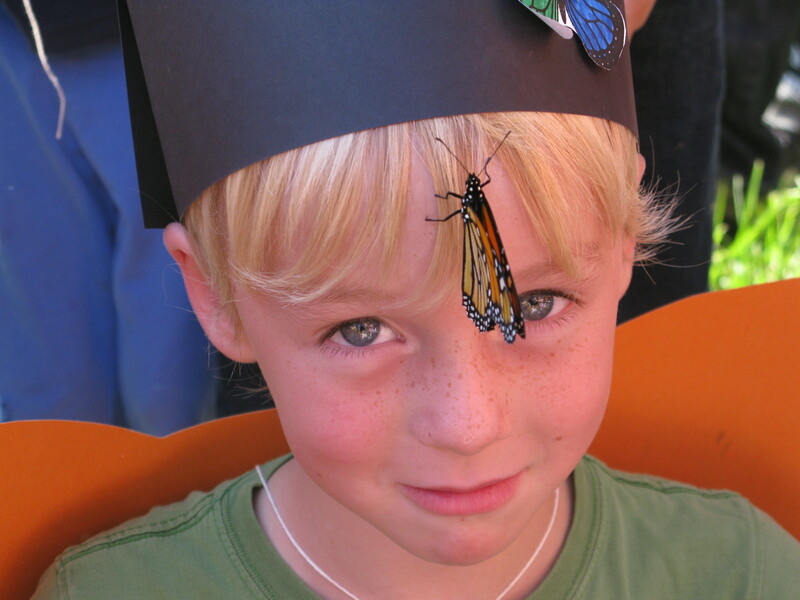 The monarchs emerged from their cocoons in all their orange, black and white glory. The students were thrilled. They knew it would soon be time to send their new friends to flight. Monarchs travel to Mexico every fall to escape the cold winter weather. They vacation in warmer climates. Such smart little creatures. The big day arrives, the day they’ve been waiting for, rehearsing lines for, creating wings for – the Butterfly Release Party! Parents are invited, treats are baked, sunshine beckons the party to begin. Josh and I show up with excitement. 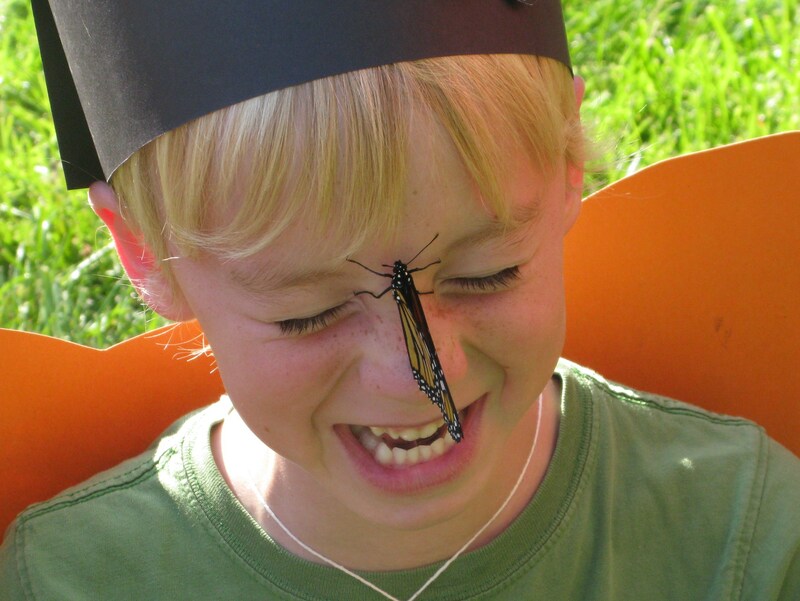 We snap pictures, nectar is smeared on student’s noses, butterflies enjoy a nector snack before their flight. Each one released individually, students wonder if they will stay and visit for a while before they leave on their journey. Then when the time is right, OFF THEY GO! 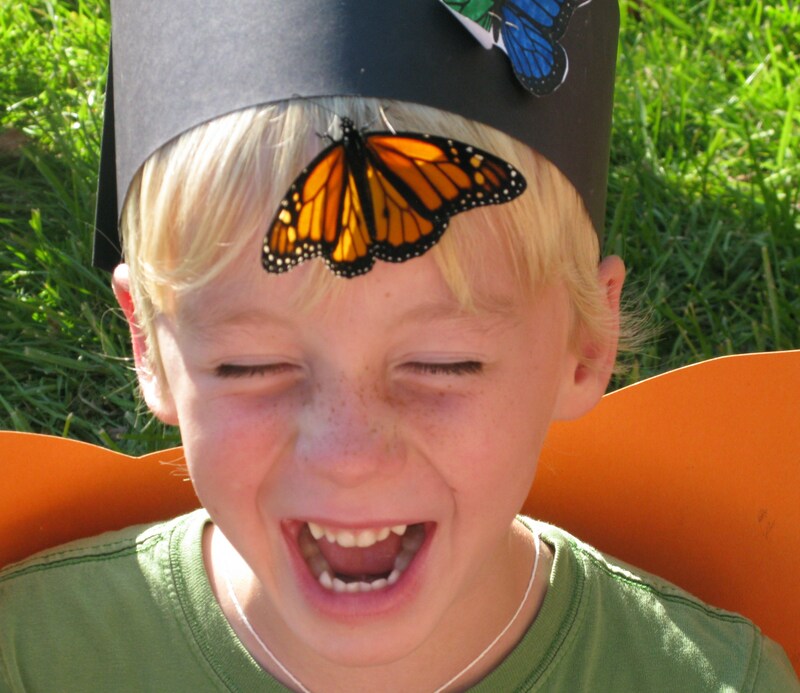 Soaring higher and higher, the children sing a goodbye song to the butterflies as they flutter out of sight. There is sadness, but there is joy. Missing, but peace. This is just the way it is for butterflies. And the children loved them anyways. Unconditionally. Beautiful. 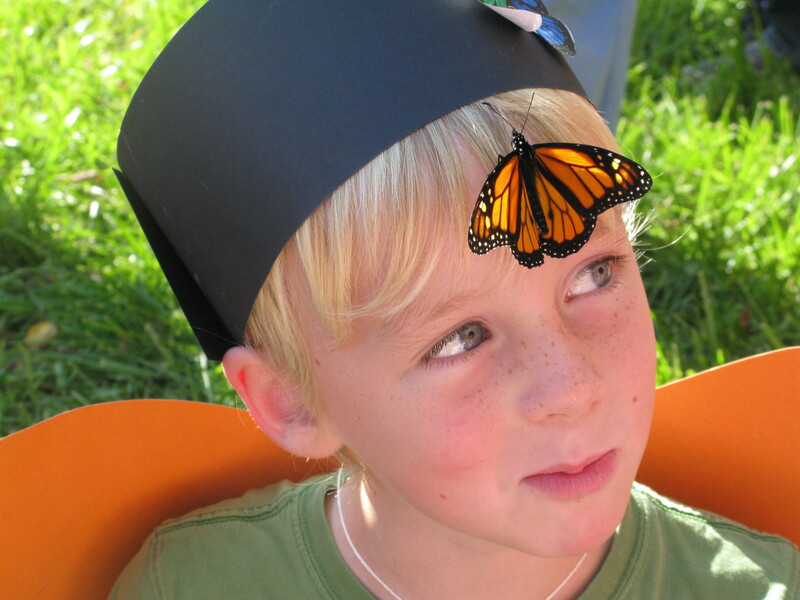 Elijah gives me butterfly kisses at night, and the bristol board wings and headband sit on our stairs. If we don’t find an Anniken Skywalker outfit for Halloween, the butterfly gear is a back-up plan. I think about the butterflies, about my butterflies. 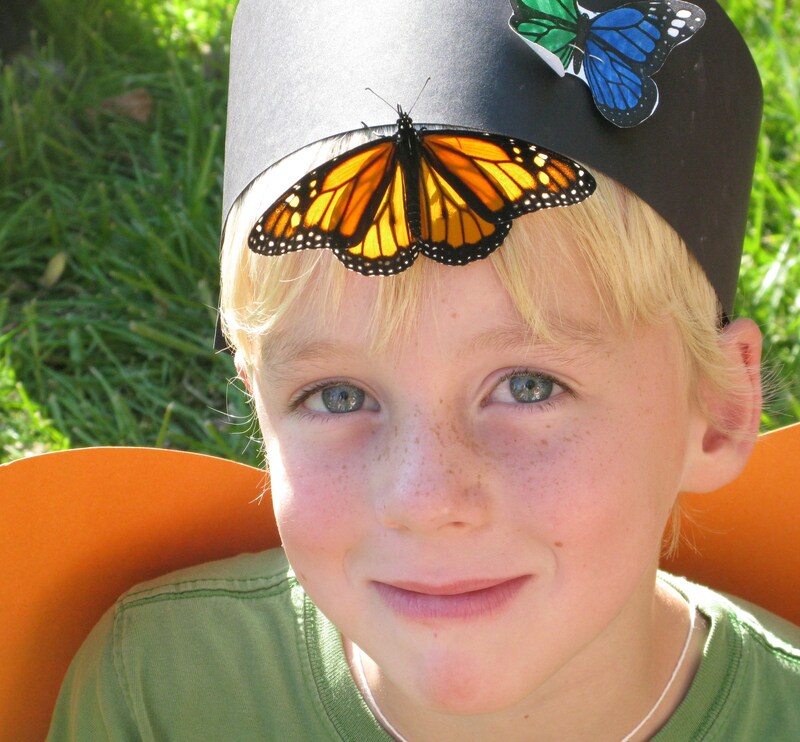 My Caleb took to flight long before any of us imagined. But I have two caterpillars to raise up for now. I am still a caterpillar myself. Still foraging, growing, preparing for my metamorphosis. Ah, the faith of a butterfly. To enter that chrysalis state – do they have any idea what they will become when they emerge? Do they sense it at all – the utter beauty they morph into? The gift of flight waiting to be explored – to journey to distant lands, warmer weather – leaving friends behind in their sadness, their missing, their acceptance. We know what awaits, unlike the butterfly. Though we can’t really imagine anything like our emergence, our flight, our journey to the heavens – we still know it’s coming. How do we know? We know by faith. Anna, this. is. beautiful. Teary-eyed this morning as I read this. Thank you Audra, I love it when you stop by and drop me a note, always makes me smile.